Want to take your vaping to the next level? 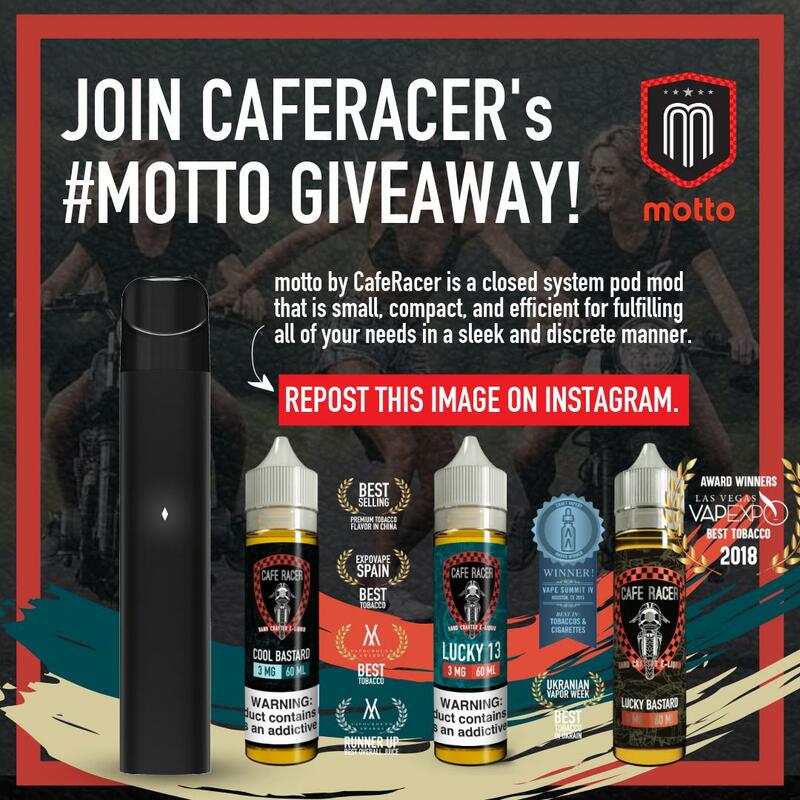 Enter for your chance to Win a Motto Starter Kit and 2 Pod Packs + 3 60mls of Tobacco Eliquid from Cafe Racer! motto by CafeRacer was created to provide a premium disposable pod system that is simple, satisfying and provides the best flavor experience possible. this closed system pod mod is small, compact, and efficient for fulfilling all of your needs in a sleek and discrete manner. Enter your details below to qualify and be entered to win! You need to complete any or all of the action steps below! The first action step is mandatory in order to be entered into the giveaway. The more points you gather, the greater chances of winning! Winner will be chosen at random using Rafflecopter.com!